This is a commission for an old lady who likes pigs! aww cute, fab card. Love the way you have done the flowers, mine never look like that! Yep, Gorgeous sums it up nicely. 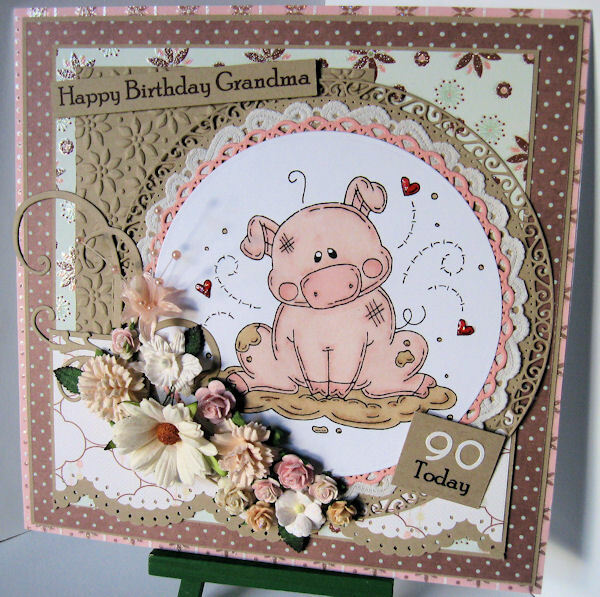 what a lovely card, and what a great mix of flowers. Oooooh, Ruth. That's fabulous hun. Love it. That's cute Ruth, love browns and pinks. What a lucky lady she is.